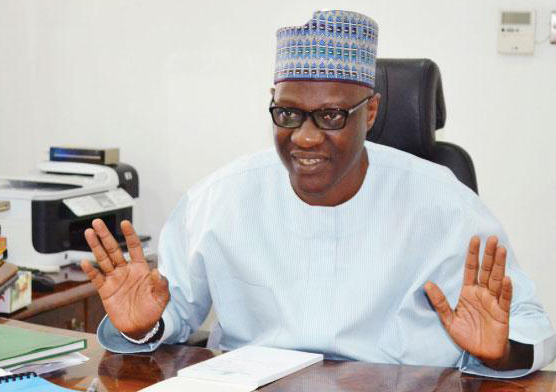 Contrary to claims by an online news medium (not Gobroadsheet), Governor Abdulfatah Ahmed of Kwara state has no link whatsoever with Whitefield Hotel Limited, the company lawyers have said. Messrs Rose-Marie Iweze and Company told reporters in Kaduna that the Governor has no link with neither the management, ownership nor the construction of the hotel. Mrs Rose-Marie Iweze, who debunked the claim on behalf of the company’s clients, noted that it is only in the figment of imagination of the online medium and the unscrupulous people involved in peddling the claim, that the Governor has anything to do with the management of the hotel. “Our firm Messrs Rose-Marie Iweze and Company, solicitors to the management of Whitefield Hotels Limited, Ilorin wish to debunk the statements of some unscrupulous persons via an online news medium, alleging that Kwara state Governor, Alhaji Abdulfatah Ahmed, has links with the management/ownership and construction of Whitefield Hotel Limited. Rose-Marie, who threatened to take legal action against people peddling the claim, said that the online medium’s claim is malicious and targeted at maligning the image of their clients.